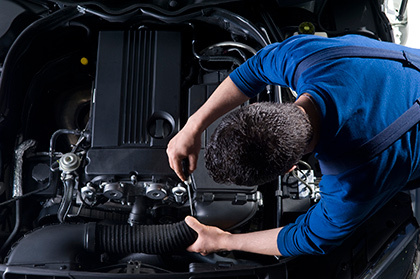 At Elite Auto Centre, our highly qualified technicians are here to provide exceptional service in a timely manner. From oil changes to transmission replacements, we are dedicated to maintaining top tier customer service, for both new and pre-owned car buyers! Allow our staff to demonstrate our commitment to excellence. Our auto repair service department is one of the most up to date service facilities in Kelowna, leading the way with the newest technology, equipment and diagnostic tools available. Put this together with a staff of highly trained service writers and technicians and you get a service department that is unmatched in quality, efficiency, and customer satisfaction. Call our service department anytime for a free quote, or just to find out some of the service we offer. If you would like to schedule an appointment call us, or fill in the Service Appointment Form and let us do the rest. Why choose Elite Auto Centre for your automotive services? Schedule Service Appointment Questions? Ask One Of Our Technicians!